After rumors, component leaks, and videos, the Apple Watch 2 (or rather, Apple Watch 2 Series) has been announced. Apple announced the new series just a few hours ago in San Francisco. The Apple Watch 2 (the start of the Watch 2 Series) brings the features that many believed the smartwatch would have. Let's cover the main ones below. First, there's the built-in GPS that had been rumored for a while. Apple has provided this to target the Apple Watch 2 series more towards runners, those who would need to make the most of in-built GPS for distance tracking and exercise. 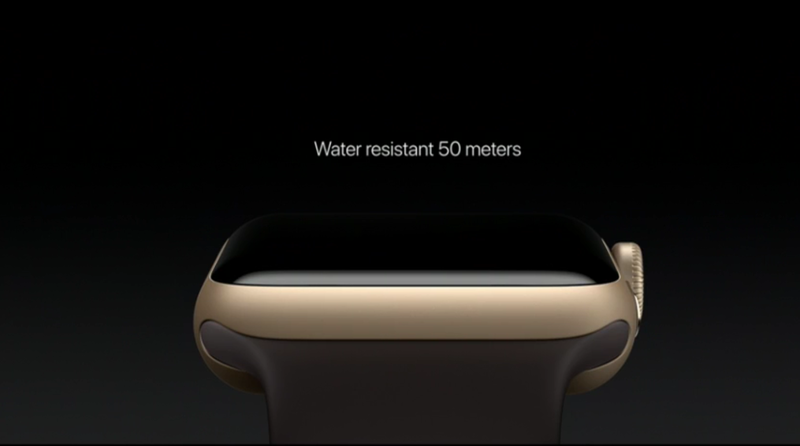 To add to the built-in GPS, there's a new dual-core processor that is up to 50% faster than the first-gen. Apple Watch, 2x brighter display (with up to 1000 nits of brightness), WatchOS 3, and -- probably one of the most important features for consumers -- water resistance up to 50 meters (or 164 feet). Of course, WatchOS 3 arrives with the Apple Watch 2 Series, bringing instant app launches, a dock for the apps that you use most often, new iMessage characters such as Donald Duck and party confetti, written and drawn messages, a new breathe app for stress, SOS emergency messages that notify contacts should you find yourself in dire situations, and so on. Last but not least, Pokemon Go, a popular game that has resulted in car accidents, thefts and burglaries, and many unsafe situations (though it's gotten folks to get off the couch and exercise), is coming to the Apple Watch. 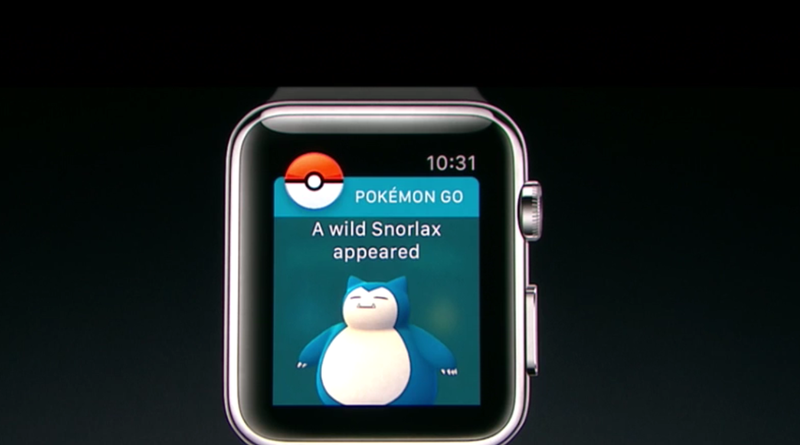 Apparently, part of the Apple Watch 2 Series consists of Apple's very own "Pokemon Go Apple Watch" (just kidding). Apple made a small refresh to the first-gen. Apple Watch, giving it the same new dual-core processor that's found in the Apple Watch 2 Series. The third watch introduced, the Apple Watch Nike+, will come with distance, calories, and fitness tracking, not to mention motivational messages to get you up and running or exercising. Sometimes, all we need is a little "nudge" (proverbially speaking, but the literal idea could apply here, too). The first-gen. Apple Watch with the new dual-core processor will have a starting price of $269, with the Apple Watch 2 Series starting at $369. Watch pre-orders start on September 9th and will be available for sale on September 16th. As for WatchOS 3, current-generation Watch users can expect to see the new update rollout on September 13th. 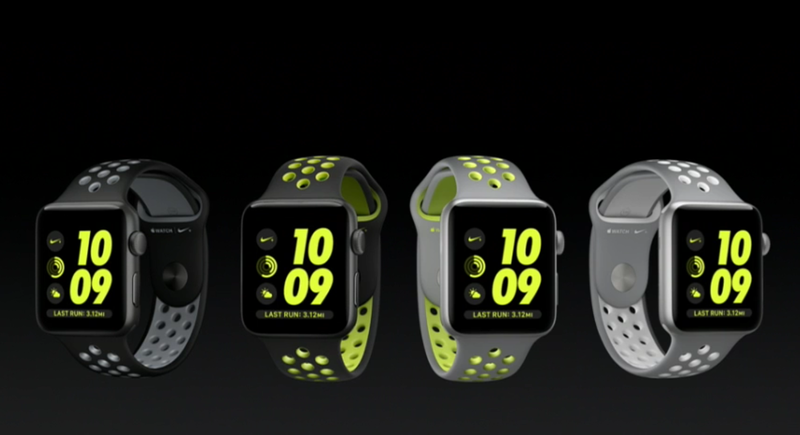 The Apple Watch Nike+ will cost the same as the Apple Watch 2 Series ($369) and be available in late October at an unspecified date. Stay tuned to Smartwatch.me as we bring you more coverage of the Apple Watch 2 Series announcement. As the information becomes available, you'll continue to be the first to know. Go here to watch the announcement in case you missed it. Are you getting the Apple Watch 2 or the first-generation Apple Watch refresh?